The 9 Best Steakhouses in Alabama! 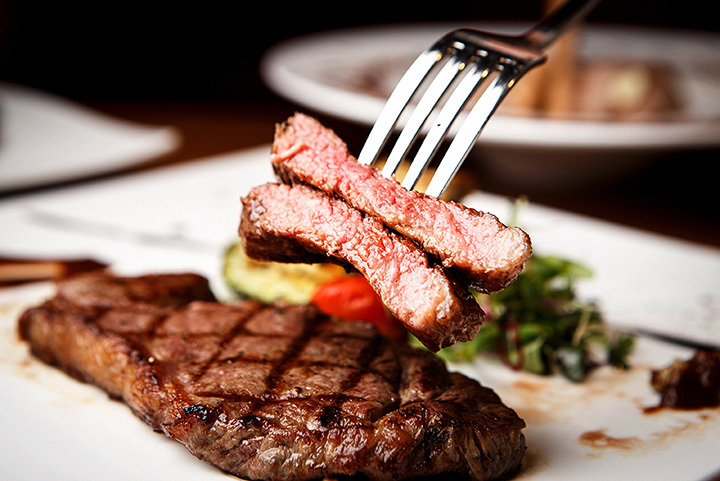 Nothing can satiate that craving for steak than a fine cut of meat from the best steakhouses around. Alabama plays host to some seriously good steakhouses, all across the state. When you’re looking for a filet, sirloin, or maybe a bit of a surf and turf, these eateries will have everything you need to fulfill your carnivorous needs! For a fine dining experience, visit Connors in Huntsville. Connors has everything you could want, from a premium New York strip to a flavorful sirloin to the most delectable surf and turf options you can imagine. No matter the how you’re craving your steak, Briquettes has got you covered. Choose your steak from ribeye to Kansas City-style, then top it with any of their delicious additions, including sautéed mushrooms and bacon wrapped. You’ll leave Briquettes feeling happy and satisfied, but save room for dessert! Their Apple Brown Betty is delightful. Big Mike’s is a steakhouse the whole family can enjoy. Their menu is simple, yet sophisticated in that everything they grill is grilled to perfection. Try their specialty, “The Big Mike,” a 24-ounce ribeye that will not disappoint. The casual atmosphere and good food makes for a fun night out. George’s Steak Pit opened in 1950, and has been thriving ever since. The family-owned restaurant knows how to cook a steak, and has a superb wine list to pair a glass to your liking. Their open pit gives every steak that special “George’s” taste, a hickory sensation that will leave you wanting more. Shula’s Steakhouse is a part of a small chain of restaurants owned by one of the greatest football coaches of all time, Don Shula. On the field, Coach Shula knew how to make a play, both offensively and defensively. On the grill, Shula is just as talented. From ribeye to New York strip, Shula’s will have something for every steak lover. Firebird’s is a stellar steakhouse where wood-fired steaks are the name of the game. Try any of their delicious steak entrees exquisitely cut and grilled, and finish up with any of their superior deserts. Their crème bruleè cheesecake is sensational. Legends Steakhouse is a local chain that is a perfect place to spend dinner with the family. More importantly, their steaks are undeniably delectable. Their staff is friendly, and the casual atmosphere is welcoming for all. Want a night out that everyone will enjoy? This family-style restaurant not only has great steaks, but a fun and lively atmosphere. Cattlemans excellent service and tasty meals continue to impress every time you visit. At Conestoga Steakhouse, the secret to success is in the sauce. All of their steaks are lathered and prepared in their special steak sauce, then grilled to perfection just eh way you like it. Can’t find a babysitter for the night? No problem. Conestoga’s is kid friendly, and parent approved.